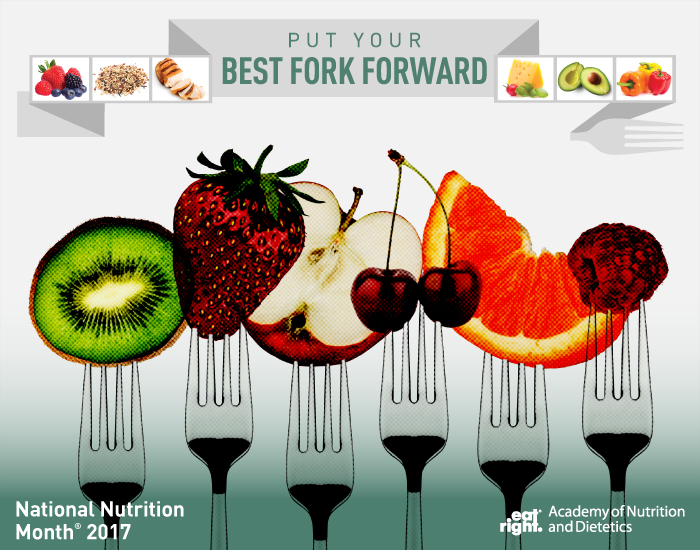 It’s National Nutrition Month® and this year’s theme given by the Academy of Nutrition and Dietetics is “Put Your Best Fork Forward”, which reminds that we all hold the very tool to help us to make healthy food choices. If you are eating a salad, add baby carrots, tomatoes, spinach or arugula leaves, beets or onions to your salad. Mix up a breakfast smoothie with your favorite fruit and low-fat milk – here is my favorite recipe for an Acai-Blueberry Smoothie. Try crunchy vegetables for a snack instead of chips like cucumber, snap peas, bell peppers, celery, or cauliflower. Make a veggie wrap with roasted vegetables and low-fat cheese rolled in a whole-wheat tortilla for lunch or dinner. Try veggies instead of your regular meat-topped pizza. I love making pizza at home; I have a recipe for it here. You can add more vegetables like broccoli, spinach, green peppers, mushrooms and zucchini for extra nutrients! Stuff your breakfast omelet with vegetables like broccoli, squash, carrots, peppers, tomatoes, mushrooms, onions or tomatoes. Try fruit on kabobs as a fun dessert for the family! Pineapples, peaches, and bananas are great together; try grilling them for an extra special treat! Add fruit to your oatmeal. It is super easy and delicious. Add fruit and oats to yogurt for a quick and nutritious parfait; great for a snack or breakfast! If you have a hard time keeping fresh vegetables in your fridge, stock your freezer with frozen vegetables to steam or stir-fry for a quick side-dish. How about this fun and easy snack/side dish. It’s a spin on a caprese salad, but these are skewers; check out the recipe here. There are other small ways to make changes in your eating habits to ensure better nutrition for the future. One hard habit to break, for a lot of people, is snacking on the wrong things. Making healthy substitutions for your favorite unhealthy snacks is a step in the right direction. Did you know that March 14th was National Potato Chip Day? I think that we may have a problem if we dedicate a whole day to the potato chip, right? 😉 Well, in honor of the day that just passed, here are my two favorite healthier alternatives to chip snacking that won’t leave you feeling guilty after eating. 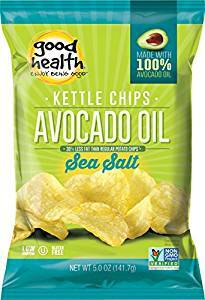 These are potato chips, so you can still celebrate next year on 3/14, but they are cooked in avocado oil, have less sodium, and are about 30% lower in fat than traditional potato chips. Not only that, they taste incredibly good! You can find them on Amazon here. These chips are a wonderful substitute for tortilla chips. A lot of people cannot digest corn well or have sensitivities/allergies to it. 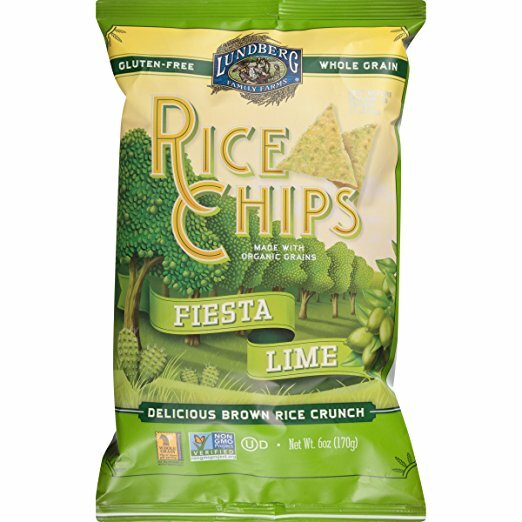 These are corn free, wheat free, and gluten free chips that a great alternative to traditional chips. You can find these on Amazon as well here. Plan Ahead!! This is so important. Look at the menu, and see if there is a selection for “lighter” options. Choose items on a menu that are baked, broiled, grilled, poached, roasted or steamed. Stay away from items that say fried, buttered, creamed, crispy, or breaded. Don’t order appetizers in addition to your meal and stay away from bread or chips beforehand – only eat what you order, the “pre-meal” can fill you up and can cause you to eat too much before your food arrives. This can lead to poor food decisions and overeating. Limit the amount of alcohol you drink. Alcohol can increase your appetite and provides empty calories. Split your order. Share with a friend, or when your food arrives, immediately split your food in half and place in a to-go container to bring home. In place of fries, choose a salad, fruit or baked potato. Order any sauces on the side, this way you can control how much sauce you are putting on your food. In ethnic restaurants, choose a vegetable dish or stir-fry choices. When eating out at breakfast choose a wrap, or go with an egg skillet with vegetables instead of breaded items liked muffins or pancakes. If you are always eating on the go, keep a thermal with you! Tuck in some fruit, peanut butter, granola, trail mix, pouch of tuna, single serve whole grain crackers and water. Bring with you so you don’t make unwise food decisions on the go. This is especially helpful so you can snack before going grocery shopping, when running errands, etc. If you are tempted to celebrate National Waffle Day on March 24th, try a healthier version! 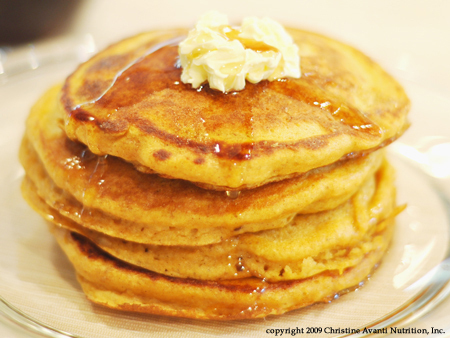 My recipe for Pumpkin Vanilla Pancakes with Ginger Butter can also be put inside a waffle maker and turned into delicious and fluffy waffles. Try it out this month and let me know what you think! Step 1 – In a large mixing bowl combine the flour, brown sugar, baking powder, baking soda, cinnamon, ginger and salt and set aside. Step 2 – Pour the soymilk and protein powder into a blender and mix for 30 seconds then pour into a medium bowl. Add the yogurt, pumpkin, melted butter and egg whites and mix well. Step 3 – Add the pumpkin mixture to the dry ingredients in the large bowl and stir just until moistened; Don’t over mix the batter (it’s okay if there are some lumps – this helps the pancakes become lighter). Step 4 – Stir the minced ginger into the softened butter, mix well and set aside. Step 5 – Spray a heated griddle or large skillet with cooking spray. Pour the batter onto the heated griddle, using ¼ cup of batter for each pancake, and cook for 2 to 3 minutes per side. Step 6 – Spread lightly with ginger butter and drizzle each pancake with ½ tablespoon of syrup. Think these look good? Wait until you taste them. This is one of the most luscious, mouth-watering breakfasts you’ll ever make for Thanksgiving or Christmas. The real surprise is that they are good for you. As seen on my appearance on The 700 Club. Nutrition Facts per serving: (2 pancakes): 372 cals., 20 gm protein, 53 gm carbohydrates, 10 gm fat. I’d love to know how you “Put Your Best Fork Forward” and made healthy food choices this month. Follow me on Facebook and Twitter and start the conversation on social media. For more information on National Nutrition Month® you can visit the website for Academy of Nutrition and Dietetics by clicking here.